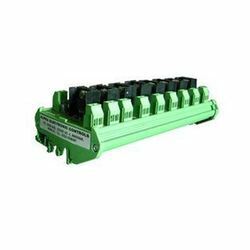 We are a leading Supplier & Distributor of Relay Boards such as Solid State Relay Board, Relay Board, DC Relay Board, Opto Isolated Solid State DC Relay Board and Relay Blocks from India. We are the renowned manufacturer of Opto Isolated Solid State DC Relay Board. Input 24 VDC , 12 VDC , 15 ma , The Opto Coupler. C, 15 ma, The Opto Coupler. Owing to the support of our dealers, we deal a high-class range of Solid State Relay Board, which are prepared with premium quality of raw materials and are accessible at economical price range. Our ranges of products are available as per the international quality standards. 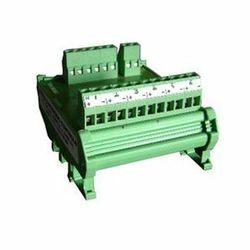 We are one of the noticeable suppliers of these products that are fabricated from our well known vendors of the industry. Our offer range is available in various sizes, and models as required by the clients.